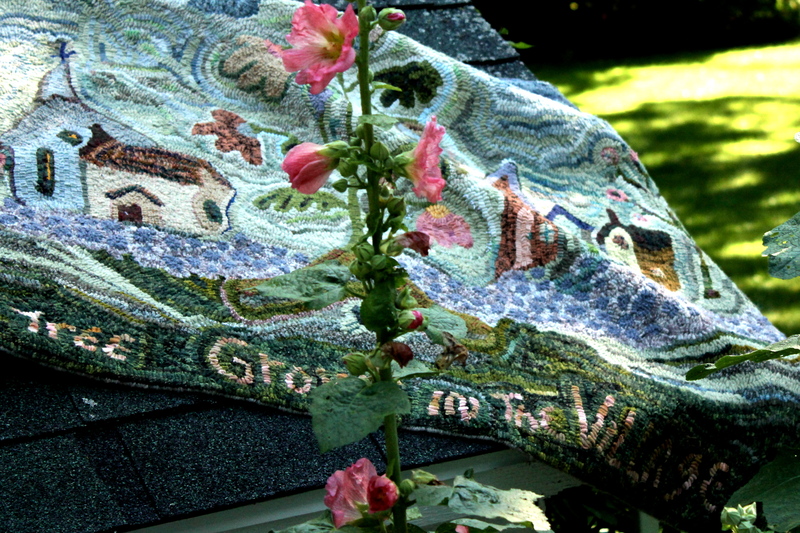 The historical village of Norwood, Michigan was the inspiration for this folksy rug with a pastel color palate. Norwood used to be a thriving town that exported lumber to a number of locations throughout the Great Lakes. When the lumber boom died away, the long process of reforestation began. 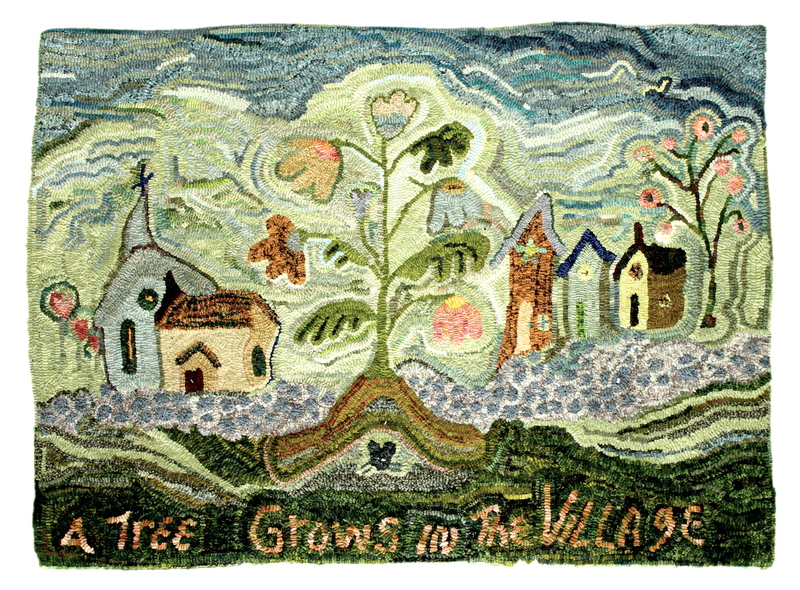 The focal point of this rug, a young tree, represents the next stage in Norwood’s history.